Talk about an Apple premium! Way, WAY back in the day I had an Apple IIe, and I loved it. So much so that I still have it, as well as a few other vintage Apples including a Power Mac, a Mac Classic, IIc, and the very rare Bell & Howell black Apple IIe. 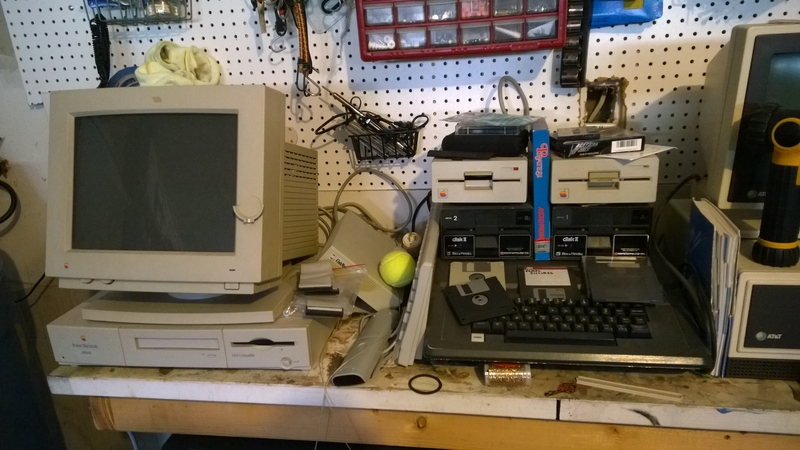 Here’s a picture of the Power Mac and the Bell & Howell in my garage, along with some additional Apple floppy drives and an old AT&T PC just visible on the right for good measure. 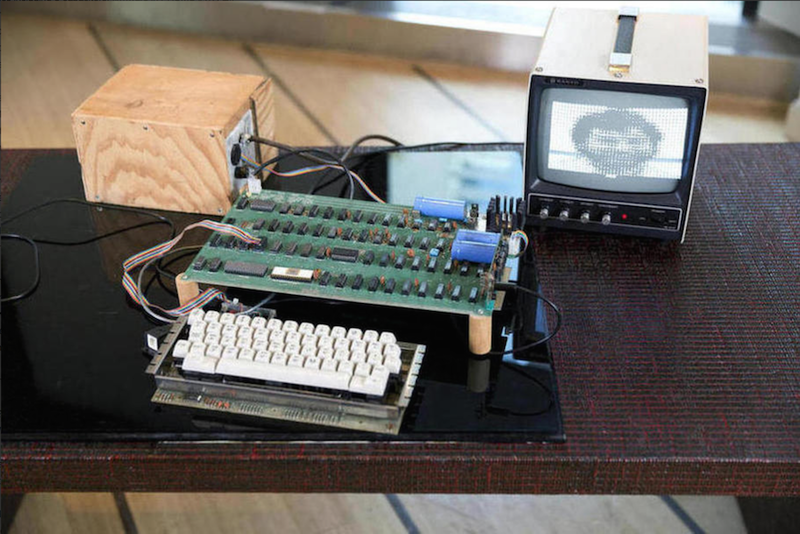 But I always wanted to get my hands on one of the original motherboards designed by Steve Wozniak in the Cupertino garage at the home of Steve Jobs’ parents, which, by the way, is right down the street from where I (and they) went to high school, and just up the street from where I grew up. For people interested in tech, it’s a holy grail. If you’re thinking it’s really not, then consider that just recently, one of the original motherboards sold at auction very recently for over $900,000. That’s way more than what was expected, but it is in pristine shape, and more importantly (to me, anyway) is that it has a power supply, original keyboard and monitor to boot. They didn’t come with those originally, so this one is very valuable even among other originals. Many things make me happy about this. First, it shows the importance of the history of technology is just as important as the history of anything else. This is digital technology specifically, but technology can be analog or manual as well; technology was used to build the pyramids and the Great Wall. Second, it won’t be going into a private collection. It was bought by the Henry Ford Museum so everyone can see it and appreciate it. I feel about this the same way Indiana Jones feels about historical artifacts, so I’m glad to see it find this home. Here’s a picture of it, with thanks to hardwareluxx.de from whence it was taken.